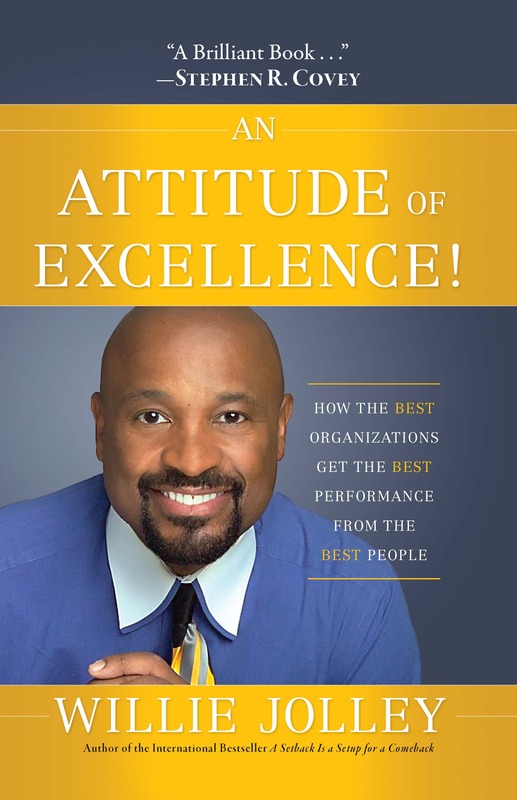 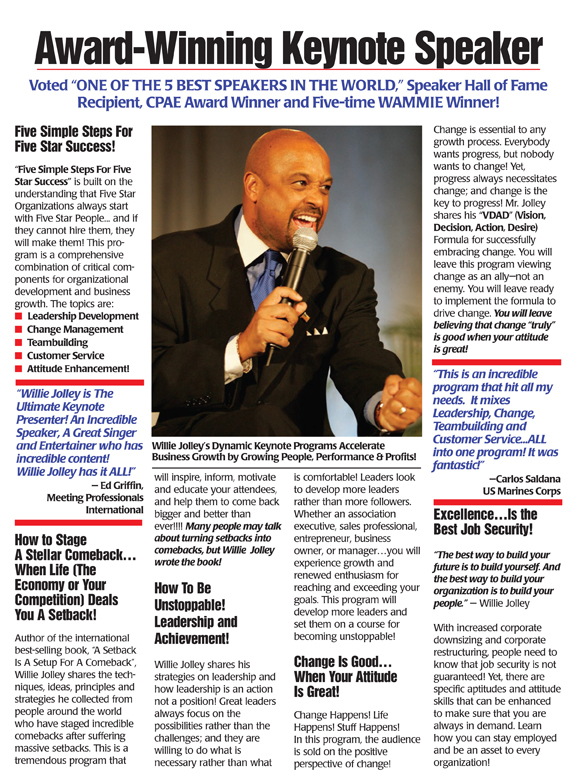 Dr. Willie Jolley Helps Organizations Maximize Profits and Elevate the Performance of Their People...to Achieve Greater Results! 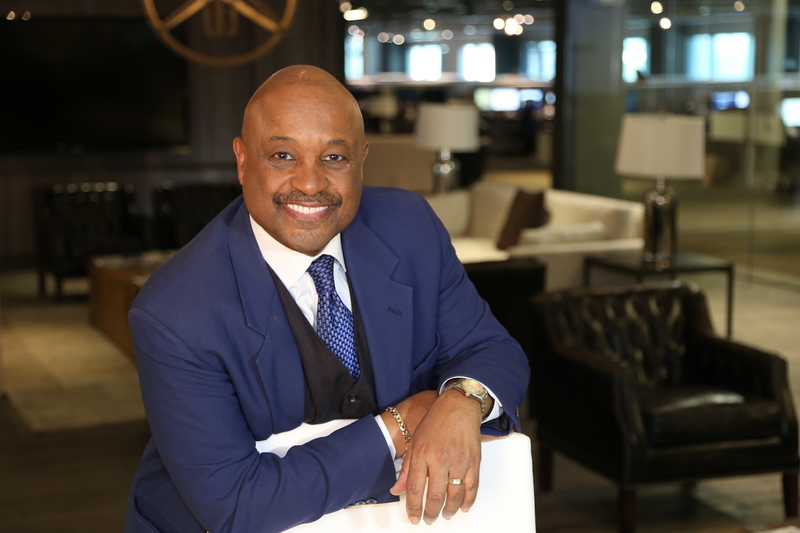 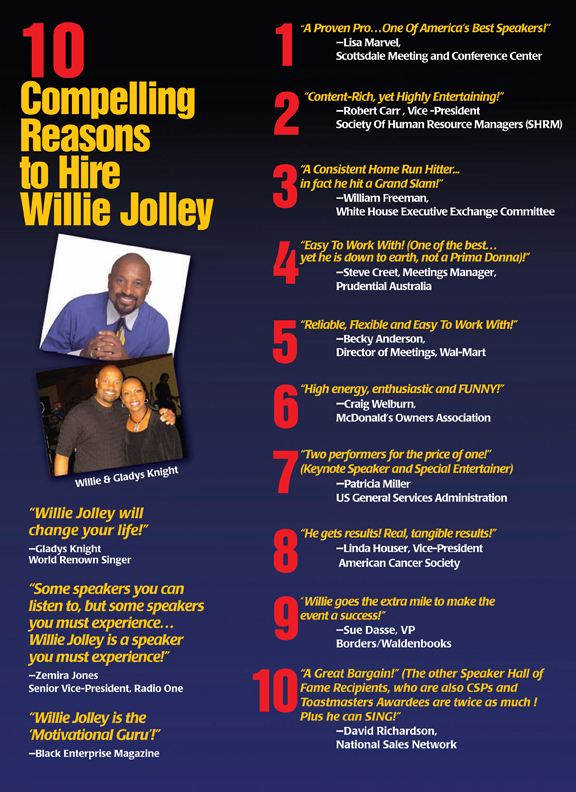 Dr. Willie Jolley has achieved remarkable heights in the speaking industry, having come from humble beginnings as a fired singer, who was replaced by a karaoke machine! 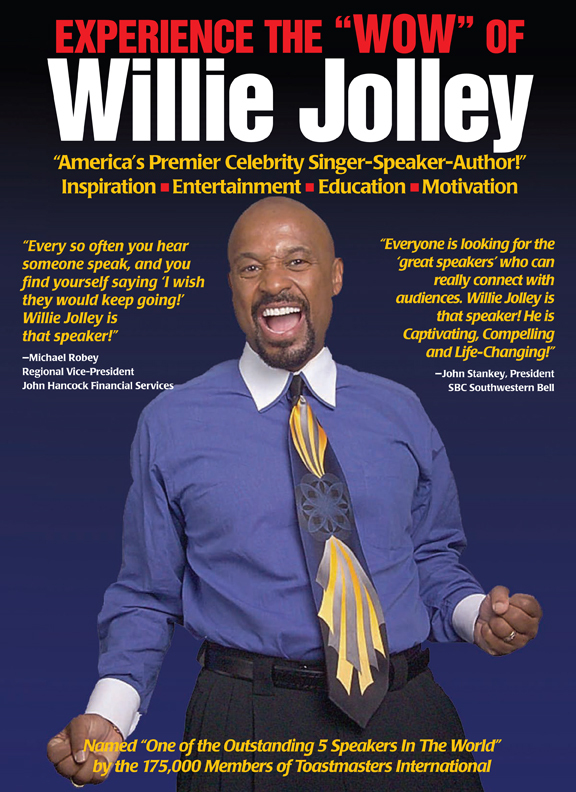 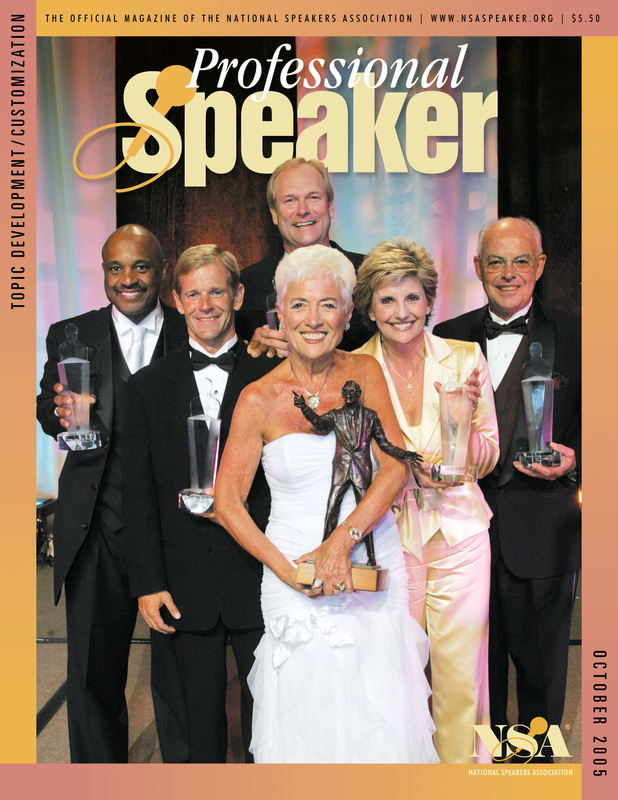 He has gone on to be named "One of the Outstanding Five Speakers in the World" by the 175,000 members of Toastmasters International, inducted into the Speaker Hall of Fame and achieved the distinction of Certified Speaker Professional by the National Speakers Association. 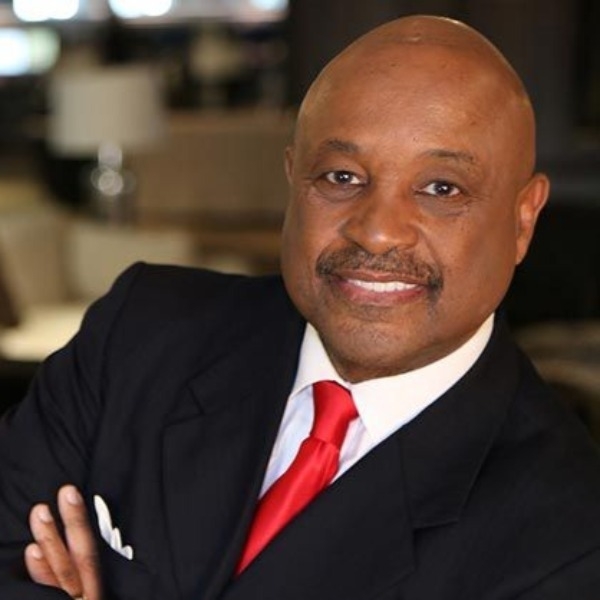 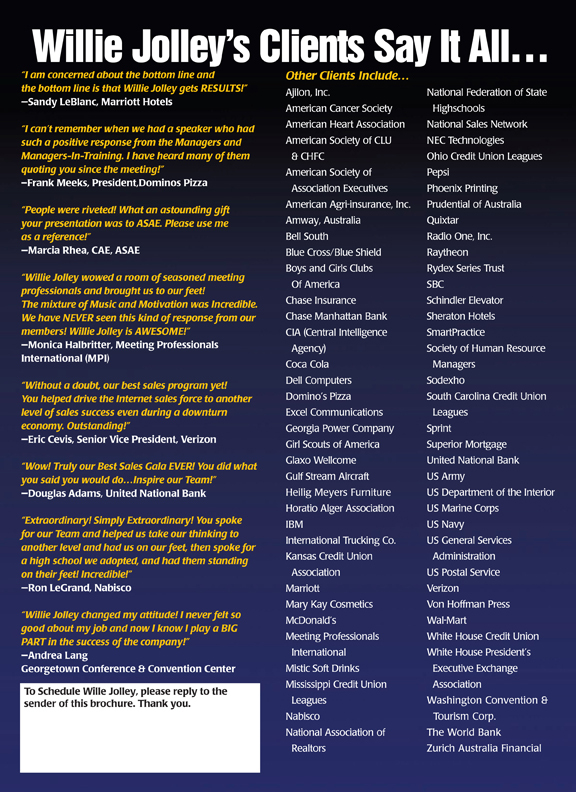 He's the recipient of the Ron Brown Distinguished Leadership Award, named "One of the Top 5 Leadership Speakers" by Speaking.com and Business Leader of The Year by The African American Chambers of Commerce. 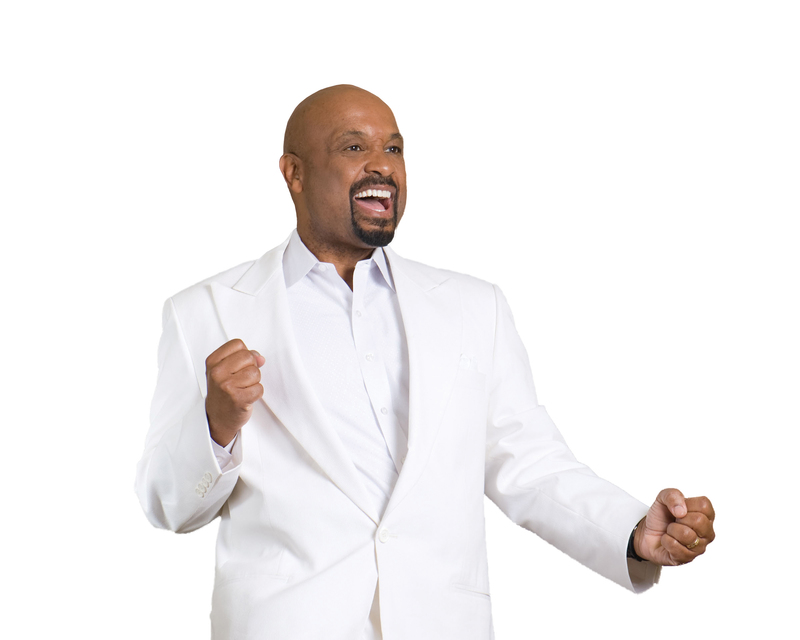 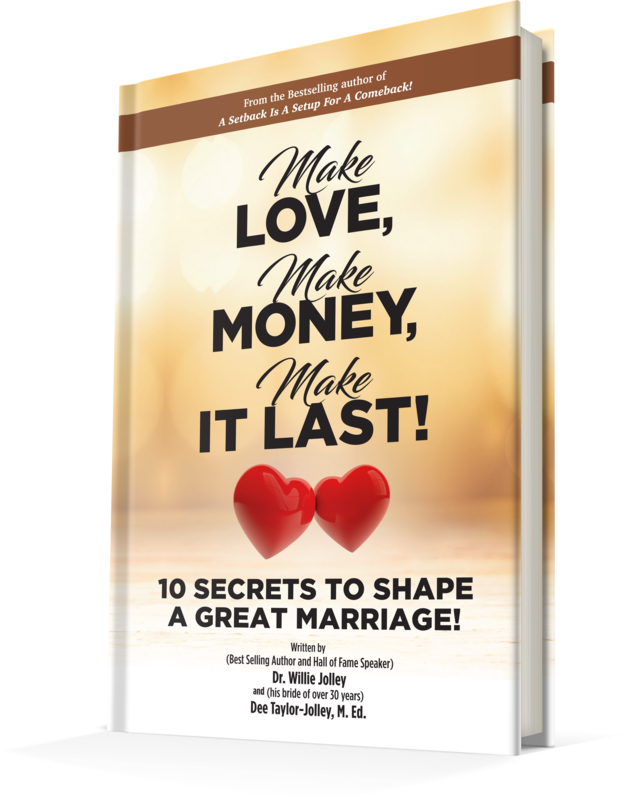 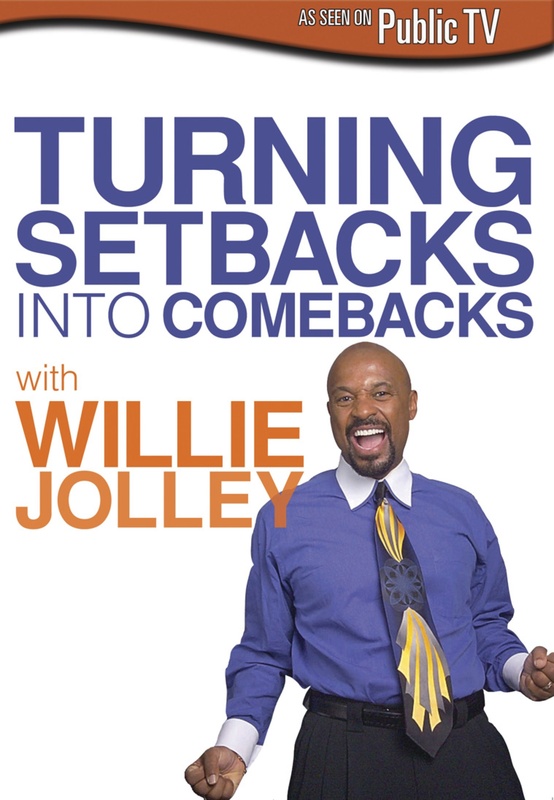 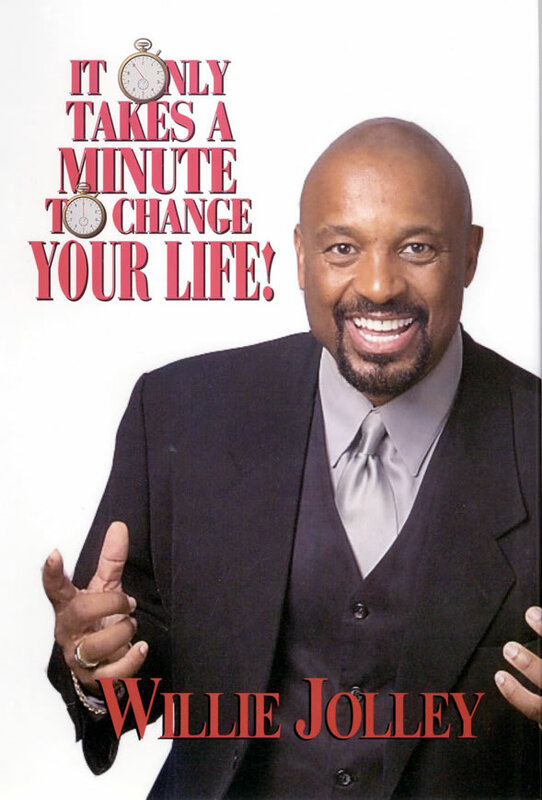 Dr. Jolley's the author of several international best-selling books including It Only Takes A Minute To Change Your Life, A Setback Is A Setup For A Comeback, Turn Setbacks Into Greenbacks, Make Love, Make Money, Make It Last!, and An Attitude of Excellence, endorsed by Dr. Stephen Covey. 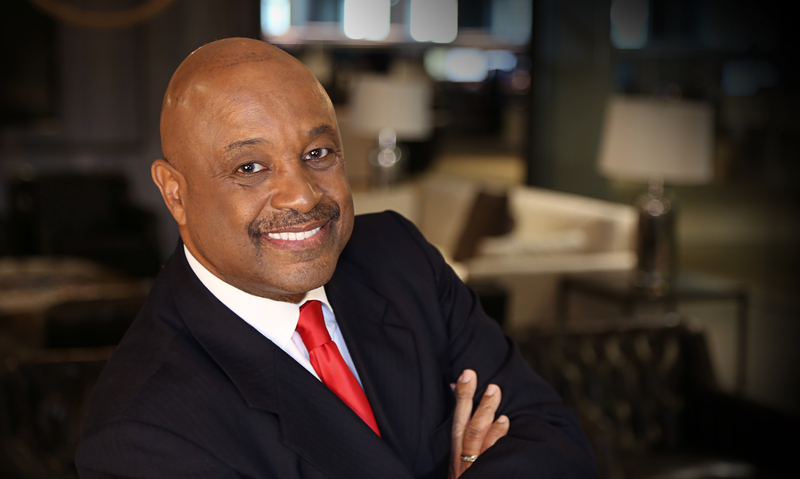 He holds a Doctorate of Ministry Degree in Faith-Driven Achievement from the California Graduate School of Theology, a Master's Degree in Theology from Wesley Theological Seminary and a B.A. 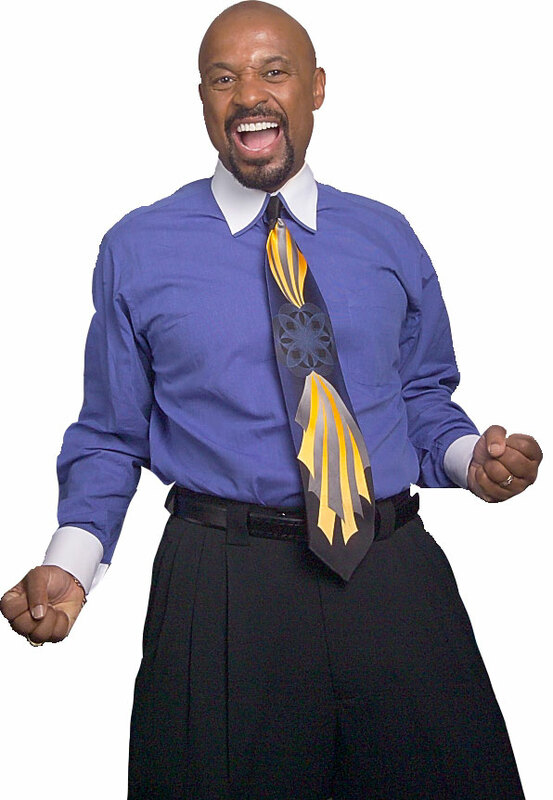 in Psychology and Sociology from The American University.Dr. 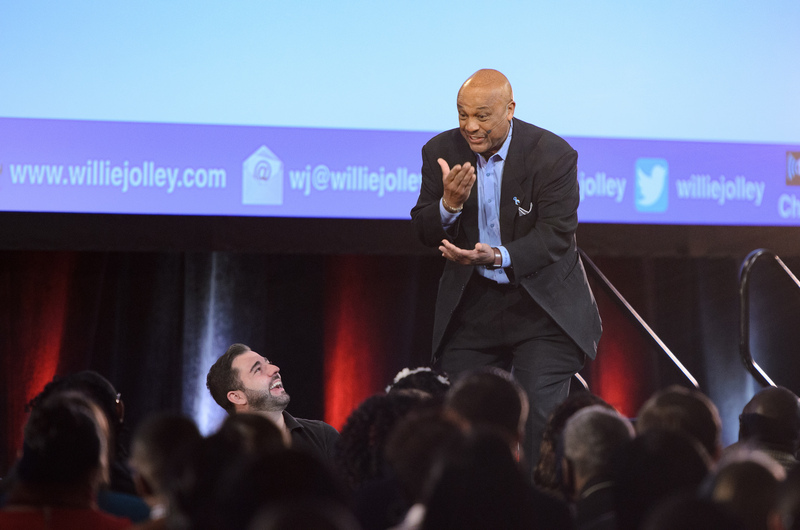 Jolley resides with his wife, Dee, in Washington, DC. 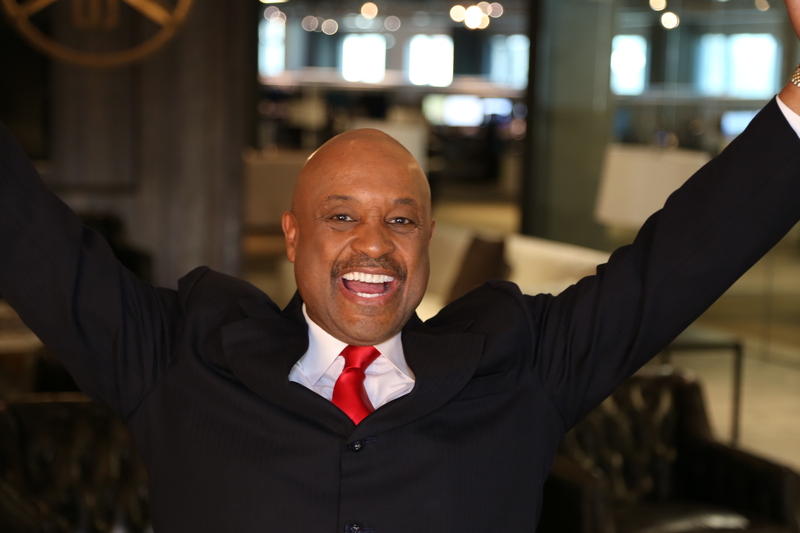 Dr. Willie Jolley: "Be Inspired To Win!"